The Royal Bank of Scotland has appointed former FSA supervisor Jon Pain as head of its conduct and regulatory affairs division, reporting directly to chief executive Stephen Hester. Pain will be responsible for overseeing all conduct and compliance issues across all RBS business units as well as handling the firm’s relations with regulators. Before joining RBS, Pain was a partner in financial services at management consultancy KPMG. 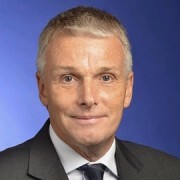 Prior to that, he headed supervision at the UK Financial Services Authority, leading the regulator’s actions to restructure, recapitalise and strengthen the banking sector. From 1973- 2007, he worked at Lloyds Bank, including a spell as head of Cheltenham & Gloucester (acquired by Lloyds in 1997), Lloyds general insurance and private banking. Fintech provider is expanding its regulatory capabilities. What are the options for the 8,000 firms that use EU financial services passports to do business in the UK?